After spending the first week of 2012 at Harbin Hot Springs, I am ready to work on the soil again and grow something new. By the way, I really enjoyed my stay at Harbin; however, it is not for everyone. It's rustic and clothing optional. If you don't want to see naked people in the pools, it is not for you. I wore my bathing suit the entire time because that's what I am comfortable with. It doesn't bother me to stand out a little, and there were a few others who kept their bathing suits on. Anyway, the water was awesome. I attended yoga classes (included in the entrance fee) everyday while I was there. As I spent my time in the mountain, I missed my garden. I couldn't wait to work on it again. 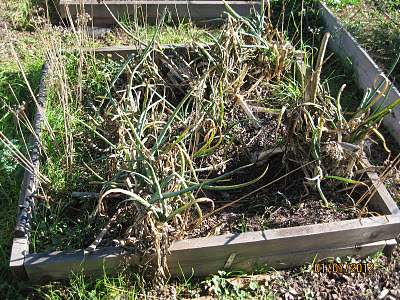 Most of the first generation green onions I planted are now looking moldy, dried up, and infested with black aphids. 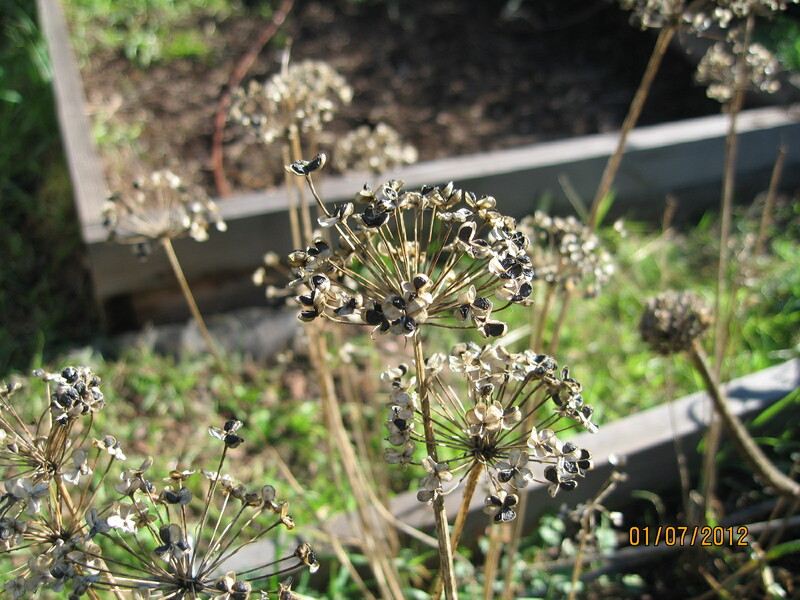 All the garlic chives have flowered and seeded. Before I started ripping everything out of the soil, I cut off a bunch of dried up garlic chive flowers to collect seeds. I will replant some garlic chives as they are very good with scrambled eggs and Chinese dumplings. After the seeds are collected, I started pulling everything out of the soil. The green onions have rooted deeply, and widely. I shook off us much soil from the roots as I could. 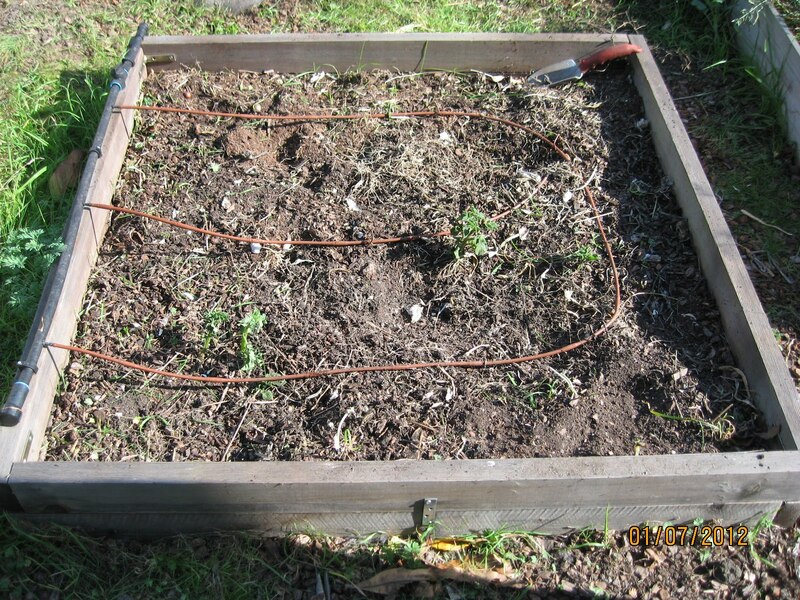 In addition to green onions and garlic chives, this bed also has red potatoes. The potatoes are sprouting now. I accidentally pulled out a couple potatoes while pulling the green onions. I just planted them back into the soil. Next step is to mix in some compost from my worm compost bins and add more soil.